Anxiousness is the state of feeling uncomfortable, nervous or overwhelmed due to a situation or circumstance. For those who do not suffer from anxiety, it can be easy to dismiss an emotional state that comes and goes. On the other hand, every day there are countless who live with an anxiety disorder that is a daily battle. It can be an overwhelmingly exhausting condition. 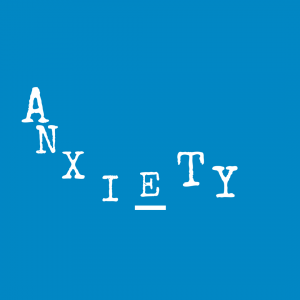 In the past ten years the general public’s awareness on anxiety has increased. With that, the prevalence of those suffering from anxiety has skyrocketed. Knowing the signs and symptoms are super important as well. As is having a strategy in addressing and maintaining a quality level of life. So we are going to rock out defining anxiety and the signs and symptoms to look for. it can be evoked by school, work, social situations, etc. There are different forms of anxiety, but we’re going to roll with Generalized Anxiety Disorder (GAD). Those suffering from GAD is off the charts, but there are many who go undiagnosed or untreated. Some feel there is a stigma while others believe they can ‘shake it off.’ In the past fifteen years as a counselor one of my greatest frustrations lies in witnessing the crippling effects that anxiety has when left untreated. For some, it’s refusing to accept this diagnosis making life much more difficult and trying than necessary. There are others who accept it, but are stubborn in receiving and maintaining treatment. It is not a simple fix, but it is one that is kicking so many people’s butts. This needs to change. If left untreated it can level you. When it is addressed and treated your quality of life is not compromised. If we opt for the, “let’s close our eyes and hope it goes away,” the outcome is never positive. It’s like when you see one snowflake fall to the ground. It’s beautiful, simple and unthreatening. Now, what happens when you have 1.8 billion snowflakes together? Your looking at a huge snow boulder. That puppy can run you over and flatten you. If you do not suffer from anxiety you can’t get it. If you do, you can. headaches, stomach aches prior to going to work, school, being in social settings, etc. Living a full, rocking out life with Generalized Anxiety Disorder is fully possible. But, just like anything it’s all about how you choose to address it. Whether it be your spouse, teen or grandchild handle with care. It isn’t something to be taken lightly. The first step is to contact a psychiatrist to conduct an evaluation to provide a diagnosis. Ask friends or family for recommendations as well as your insurance provider to see who is in network. The psychiatrist will determine if medication is needed. If this is the case, ask questions and advocate for yourself. Know that the type of medication initially prescribed takes a few weeks to kick in. Medication reacts differently to the individual. If you feel like the meds are not working as they should, it’s ok to speak up. Your fighting for you or your loved one to get the highest quality of care and this is included in that. Lining up a psychiatrist can be the most daunting part of the process. Be patient. It generally takes time to get in with someone. Sometimes, lots of it. Along with lining up a psychiatrist I would recommend chatting with a counselor a few times. I believe clearing some of the clutter and unnecessary angst out of our heads can help. It isn’t a forever thing, but it has the ability to get the ball rolling. Counseling can do good things when paired with the right person. Just as with the psychiatrist, be patient. I let kids know that they may not always be comfortable chatting with me. That’s ok. It’s finding someone you are comfortable with that is professional, challenging and insightful. rock out with a good run, yoga, pilates, etc. The Anxiety and Depression Association of America has further tips for decreasing anxiety and improving wellness. Click the link to check them out. Anxiety is a real condition that can feel overwhelming. If you feel like this applies to you, don’t go at it alone. Our stubbornness can cause havoc both physically and emotionally.Self care is super important. I find it interesting how we make a point to ‘spring clean’ our homes and cars a few times a year. We rock out the lemon pledge, clear out those dust bunnies to make sure our homes our in the right shape. But we neglect ourselves. You have been given one body and you don’t get a replacement. Take time to for you. If anxiety is beating down your door; address it. There’s nothing wrong with you or the one you love. It’s just a matter of tweaking and maintenance ensuring a healthy, quality level of living. When we take that first step forward it goes along way. Thank you! It’s a conversation that we need to keep rolling. Please feel free to subscribe to my newsletter where I hit on strategies/ tips to more effectively deal with anxiety, stress, depression and other super important topics. Wishing you an awesome week! So true. Over my 15+ years as an anxiety sufferer, I’ve tried and tested EVERYTHING – now, finally I’ve found some strategies which just about work. Thanks for posting! It’s encouraging to hear that strategies are helping. Please feel free to sign up for my newsletter where I provide some great strategies in dealing with the topic of the week. Wishing you an awesome week! Thank you so much for your feedback! Have an awesome week!